Guest posting has become a staple of many digital marketing strategies; it is an excellent way of reaching audiences that would otherwise be inaccessible to you. It is also a popular way for blog owners to monetize their blogs once they are attracting a significant flow of traffic. In order to succeed in your guest posting, you will need to learn to craft your posts so that they meet any stipulations set out by the blog you will be posting on. This can be more of a challenge than it sounds, especially if you have grown accustomed to writing for a single audience or website. 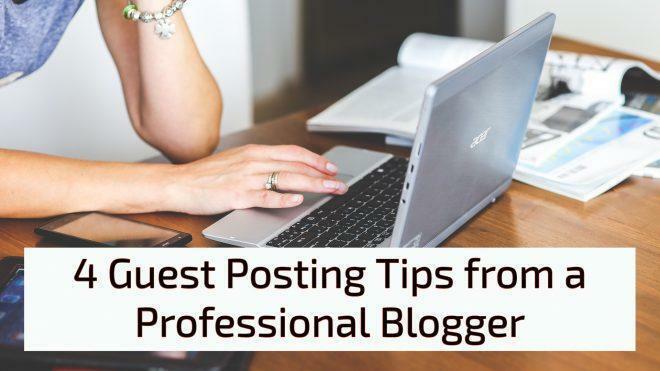 The following tips for writing the most effective guest posts possible, and those most likely to be accepted by blog owners, come straight from a blogger with over a decade of experience as a professional blogger who has accepted guest submissions from a variety of sources. If you are a writer looking to get your work onto a wider range of platforms through guest posting, or you are composing articles intended as marketing materials, these tips will help you to use your time as efficiently as possible. Generally, the more traffic a blog or website is able to generate, the better. However, while more traffic can be turned into more income for a website owner, it also costs money. If your website is already well established and you have a comprehensive hosting package that doesn’t limit your bandwidth, this shouldn’t be an issue. However, a newer website, one which is still growing and finding its feet, might find the extra traffic as much of a burden as a blessing. If you guest post on a blog that caters to a vastly different audience than the piece you are writing, assuming the blog doesn’t mind this, you should realize that you will be generating relatively little useful traffic. Useful traffic comes from users who are likely to become repeat visitors, to open an account on your website, or take some other action that is beneficial to you. Traffic that isn’t useful won’t just be an unnecessary use of bandwidth, they will make it much harder for you to accurately assess any data about your website’s traffic. You should instead target blogs and websites with an audience similar to your own. This will increase the amount of useful traffic to your website, while also increasing the chances of, and amount of, positive feedback from users of the website or blog in question. This is perhaps the most important thing to consider when you are writing posts for someone else’s website. You need to ensure that any content you submit is completely original. Needless to say, you shouldn’t be taking any content from other people’s websites or blogs, but you should also ensure that you aren’t just submitting your own content that has been slightly reworded. There are numerous reasons why you should make sure that the work you submit is original. First and foremost, it’s an issue of professionalism. If the content you submit is not directly copied from elsewhere, but still borrows heavily from other peoples’ work, this will still reflect poorly on you. Building long term relationships with bloggers will make all of your digital marketing efforts in the future a lot easier and will give you a growing number of platforms on which you can market. Another issue with duplicate content is that it might not only harm your relationship with the blog you are guest posting on, but if the original content creator finds out that you have used their material for your own personal gain, they are unlikely to be happy about it. You don’t want to burn any bridges unnecessarily, especially as those producing similar content to your own are potential marketing allies and partners for the future. This should be an obvious tip, but you’d be surprised how many people don’t ever think about the quality of their work. In some cases, people have simply been lulled into a false sense of security by their past successes. In other cases, someone who is used to writing content in a particular style, or for a particular audience, bites off more than they can chew in and finds themselves needing to write content that they are completely unprepared for. If you are confident in your writing abilities, that’s great! However, if you are in any doubt about your ability to produce the highest quality content possible, you should hire a professional copywriter to handle the task for you. Copywriters are able to write for a variety of audiences and will be able to look at the blog in question and identify the most appropriate style and tone to utilize. Every blog has its own set of guidelines to follow. Some blogs have few limitations on the style and type of content they will accept, while others insist that all writing falls within relatively narrow parameters. 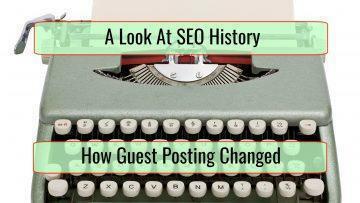 You should read through the guidelines very carefully before you even approach the blog owner about guest posting. If you approach a blog owner and propose content that is clearly unsuitable for their blog, you are essentially wasting their time. This is the kind of thing that can damage your standing with them and reduce your chances of being able to guest post in the future. You should also refer back to the guidelines as you are writing. Blog owners are unlikely to want any content that they don’t feel adds value for their readers. Their guidelines are their way of ensuring that submissions they receive are appropriate for the audience. You don’t want to be in the position of getting halfway or further through your piece and suddenly realizing that you haven’t adhered to the guidelines. If you have to heavily edit your piece to make it fit, the result won’t be as smooth or consistent as it would have been if you had written it correctly to begin with. 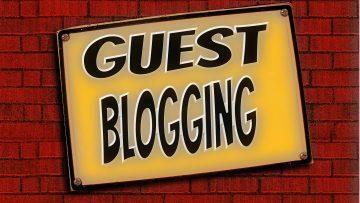 Guest posting can be of great benefit, both to marketers and blog owners. However, it only works when it is providing something for both parties. In order to ensure that your guest posts are worthwhile, you need to take care with them, ensure they are original, high quality, and suitable for the target placement. ESBO is your one stop for high quality content marketing and SEO link building services. We specialize in offering quality at affordable prices!